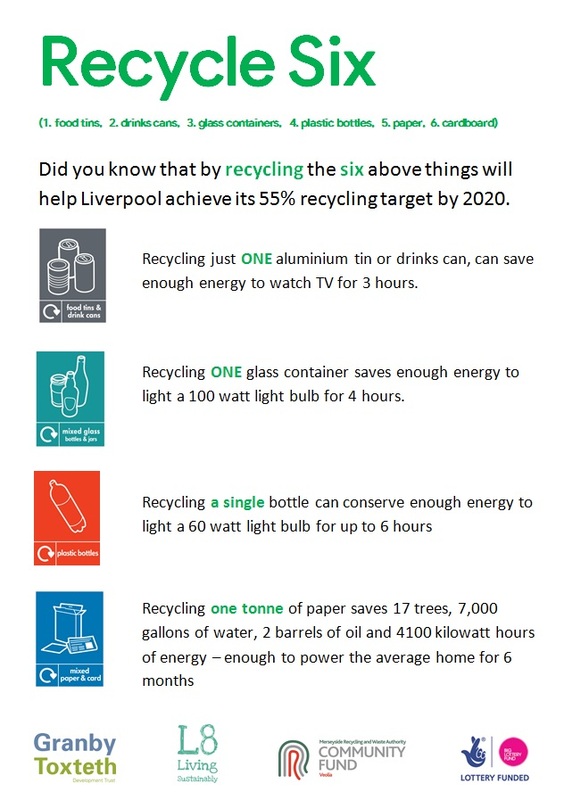 Granby Toxteth Development Trust: Are you up for the Recycle Six challenge? Are you up for the Recycle Six challenge? We are challenging everyone to Recycle Six types of containers and packaging. These are food tins, drinks cans, glass containers, plastic bottles, paper and cardboard. By just recycling these six things we will have a impact on the resources and energy we use. Are you up for the challenge?